The Federal Reserve held interest rates steady on Wednesday but said it would be patient in lifting borrowing costs further this year as it pointed to rising uncertainty about the U.S. economic outlook. 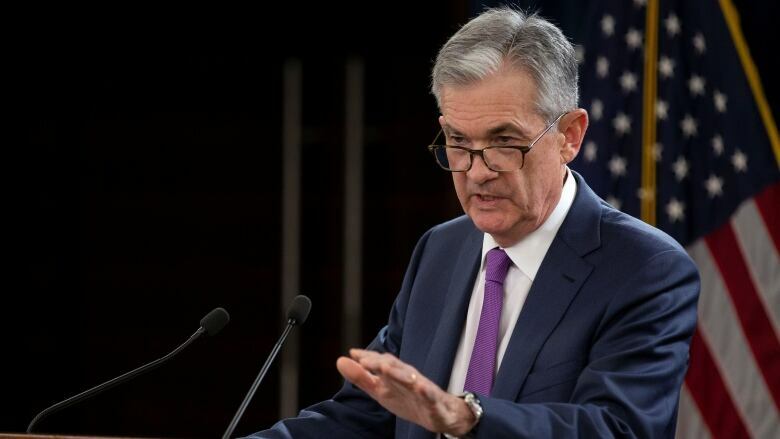 The Federal Reserve is keeping its key interest rate unchanged and signalling that it could leave rates alone in coming months given economic pressures and mild inflation. The Fed also says it's prepared to slow the reduction of its bond holdings if needed to help the economy. The central bank said Wednesday that it plans to be "patient" about future rate hikes. Its benchmark short-term rate will remain in a range of 2.25 per cent to 2.5 per cent after having been raised four times last year. The Fed's key rate influences many loan rates for businesses and consumers, including mortgages. Investors cheered the Fed's message after its latest meeting that it foresees no need to raise borrowing rates anytime soon even while the economy remains on firm footing. The Dow Jones Industrial Average, which had already been up strongly, surged about 200 points after the Fed issued its policy statement and was up about 430 points about an hour later. Still, the Fed is having to maintain a delicate balancing act because some gauges of the economy look healthy. The job market, for example, remains robust, with solid and steady hiring. And corporate earnings have so far been holding up in the face of the global slowdown and trade conflicts. Of the companies in the Standard & Poor's 500 that have reported results for the final three months of 2018, 77 per cent have delivered earnings growth that topped Wall Street's forecasts. Some, though, are lowering expectations for 2019.